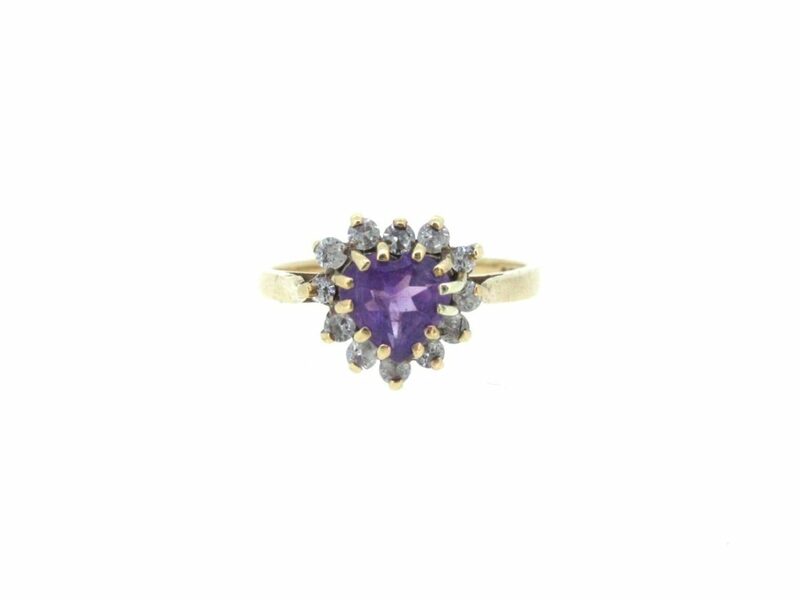 A very cute heart shape amethyst stone with a cubic zirconia surround, set in 9ct gold. Dimensions approx. 9.6mm x 10.5mm. Pre-owned-owned.